Provide comfort for the family of Patricia Wallace with a meaningful gesture of sympathy. Patricia Ann Wallace a “Jewel of God” was born on March 2, 1951 to the late Clarence Moseman Sr. and Rena Preston Moseman. Patricia accepted Christ as her lord and savior at an early age and was baptized on June 12, 1960 at Zion Travelers Baptist Church in Reserve, La under the leadership of Pastor Marshall Cambre. On February 21, 2019 at 3:00 am, at the age of 67, she departed this earthly life at The Carpenter’s House, St. Joseph Hospice located in Harahan, La., to enter into eternal rest. Patricia knew that to be absent from the body is to be present with the Lord (2 Cor. 5:8). She was educated in the St. John Parish School System and graduated from Fifth Ward High School with Class of 1969. She went on to accomplish many goals with ministry being at the top of her achievements. She attended Reserve Christian Church during the 1970’s under the leadership of Pastor Rod Aguillard. She increased in knowledge of God’s word and began to pattern her life accordingly. 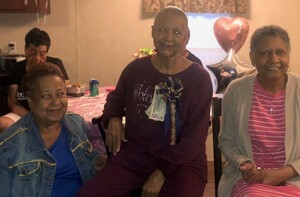 She became heavily involved in prayer and ministry joining spiritual warriors namely Rhea Bernard, Josephine Braud, Sarah Flowers, Loletha Scioneaux and Rose Simon. These mighty women of valor were on the forefront praying for their families and communities. Patricia became ordained in 1988 by Pastor Sylvester and Veronica Baptiste in Laplace, LA. She had a vision to work with the youth, teaching them various life skills. This is when the Tirzah Mentoring Program was birthed in 2009. She became very involved in the community teaching the children etiquette, CNA (Certified Nursing Assistant) and Phlebotomy until 2017, when she could no longer fulfill her commitments. She held several jobs in the medical field and food services. She mastered the art of culinary catering and went on to be established as one of the best caterers in St. John Parish and requested by popular demand for many major special events. She was affiliated with various organizations namely W.H.I.P (Women Hallowed in Prayers); various phone prayer ministries, and she was on the ministry team at Voice of Truth Fellowship Church under Pastor Lori Adams. 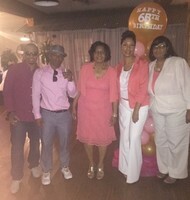 Patricia married to Lethaniel Edwards Jr. and they were blessed with three children; Troyla, Vernell, and Patricia. 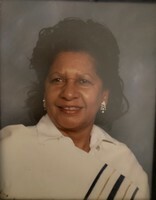 Patricia re-married to the late John Wallace Sr. and were blessed with three children, Renee, John Jr. and Christopher. Patricia was preceded in death by her beloved parents Clarence and Rena Moseman, husband, John Wallace Sr., two brothers Clarence Jr. and Donald Moseman. She is survived by her longtime companion, Lucien Gauff Jr.; three sisters: Mable Schofield (Rudolph) of Gramercy, LA, Barbara Polk of Reserve, LA, and Rena Mae Matthews of Fullerton, CA; her brother: Joseph Moseman (Lottibell) of New Orleans, LA; her aunt Gussie Preston of Reserve, LA; her children: Troyla (Tim) Keller of Reserve, LA, Patricia (Ricky) King of Metairie, LA, Renee (Wardell) Payne of Gramercy, LA, Vernell Edwards of Culver City, CA, John Jr., and Christopher Aaron Wallace both of Reserve, LA: Grandchildren; Rupert Dinvaut IV (Alesha) of Baytown, TX, Yvonne Edwards of CA, Mia Edwards of Fluker, LA, Gabrielle Keller of Ponchatoula, LA, Kaleb Keller of St. Louis, MO, Tirzah and Tirrek Payne both of Gramercy, LA, Calen Thomas of Reserve, LA, Tara Keller of New York, and Ashley Jenkins of Natchez, MS: Greatgrandchildren: Kaden, Kade, Makynzi, Kayliegh, and Lil Robbie, her god-child Derrek Schofield and a host of cousins, nieces, nephews and devoted friends. She will be truly missed by her Friends and Prayer Partners: Pastor Gaynell Davis (cousin), Minister Donish, Deborah Dixon (cousin), First Lady Mary Aguillard, Minister Carvetta Freeze, Pastor Deborah, Shirley Ann Gray, Cherita Berry, Eloise Sanders, Evelyn Edwards, Rosemary Frank, Carolyn Mason, Blanche Fernandez, Robert Taylor and Chavalley Roussell, Lynelle Perrilloux, Cynthia Baxter, Larry Hayes and Catherine Foster; Dr. Wanda Timpton (former employer and friend) Dr. Raiz Haque (employer; co-workers); Dr. Isamil, Dr. Anwar, Eisha, Lisa K., Debra Bickham, Tyra Johnson, Edwyn Harvey and Carla Sarah. A funeral celebration will be held on Saturday March 2,2019 at 10:30 am from the Life House Church 3556 West Airline Hwy. Reserve, La. Visitation at the church after 9:00am. Final care entrusted to Treasures of Life Funeral Services 315 E. Airline Hwy. Gramercy, La. To send flowers in memory of Patricia Wallace (Moseman), please visit our Heartfelt Sympathies Store. Provide comfort for the family of Patricia Wallace (Moseman) by sending flowers. I will truly miss our daily talks You was truly a blessing.